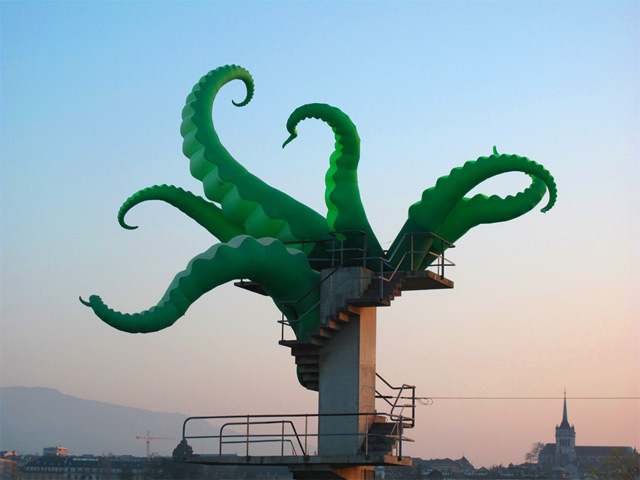 Inflatables are good for more than just pool toys and camping beds – they also come in the form of giant tentacles springing from open windows, the world’s largest rubber duck and (literally) gigantic piles of crap. 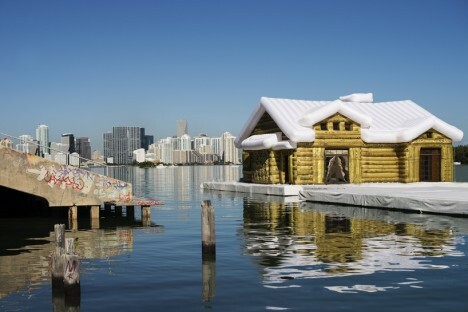 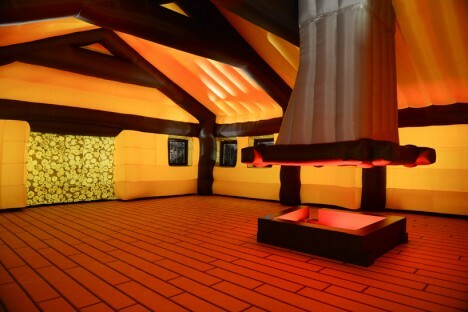 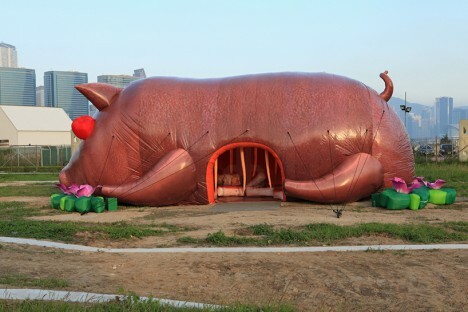 Blow-up buildings can have a practical purpose as mobile architecture, but sometimes, oversized inflatables are just for fun, transforming both interior and exterior environments and bringing shock value to art festivals around the world. 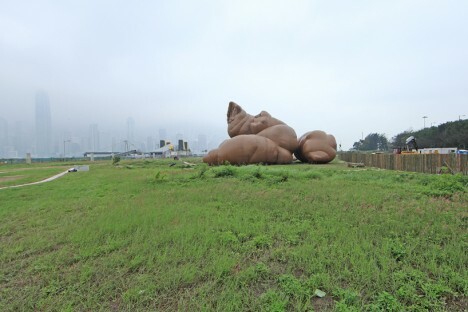 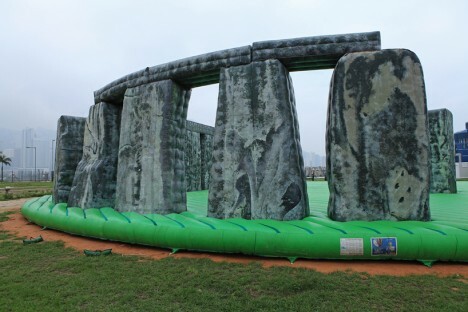 A group of artists came together in the West Kowloon Cultural District of Hong Kong to install oversized inflatable works, including ‘Complex Pile’ by Paul McCarthy, ‘House of Treasures’ by Cao Fei and ‘Sacrilege’ by Jeremy Deller, for an art festival. 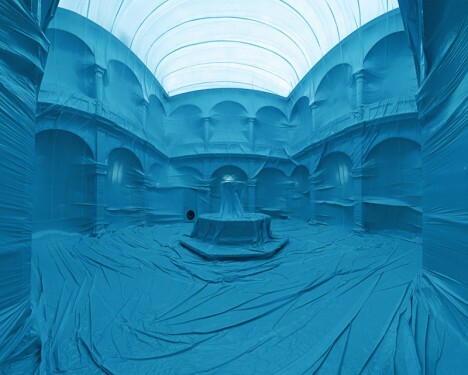 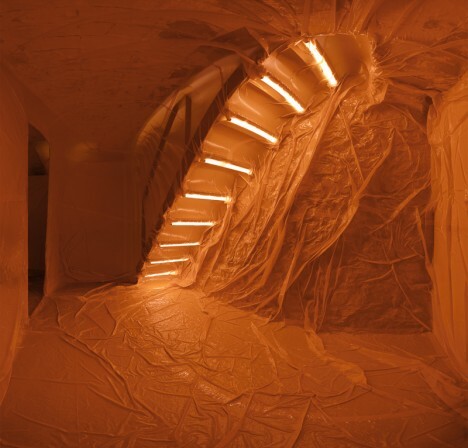 All that’s left of an interior space once these inflatable plastic environments by Penique Productions are put into place is the basic shape and structure of it, all details obscured to create a surreal new environment. 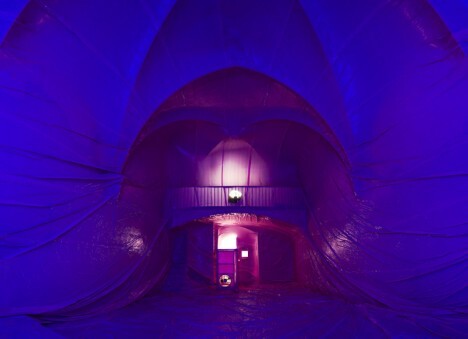 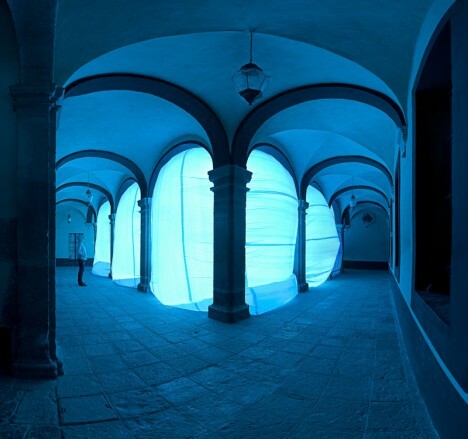 The Barcelona-based group inflates massive colorful balloons inside buildings to transform them for special events. 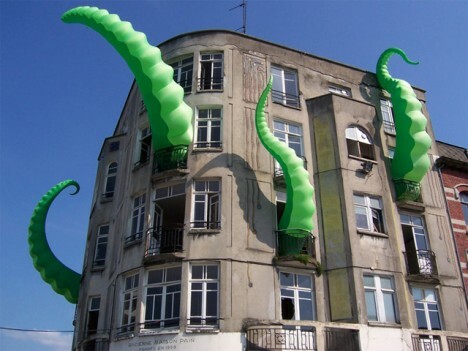 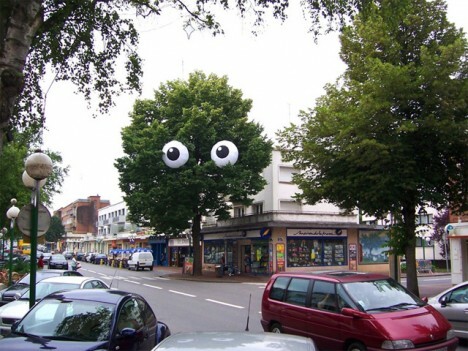 French street artist Filthy Luker makes it seem as if gigantic octopi are trying to escape from buildings around the world, and anthropomorphizes trees with inflatable eyeballs.